It has always been a key holiday destination and now in the summer the island is bustling with visitors from many countries. With pretty, colourful buildings and several stunning beaches it is easy to see how the place became so popular. For visiting yachts perhaps the most special places to explore are the numerous caves in the anchorages along the east side of the island. 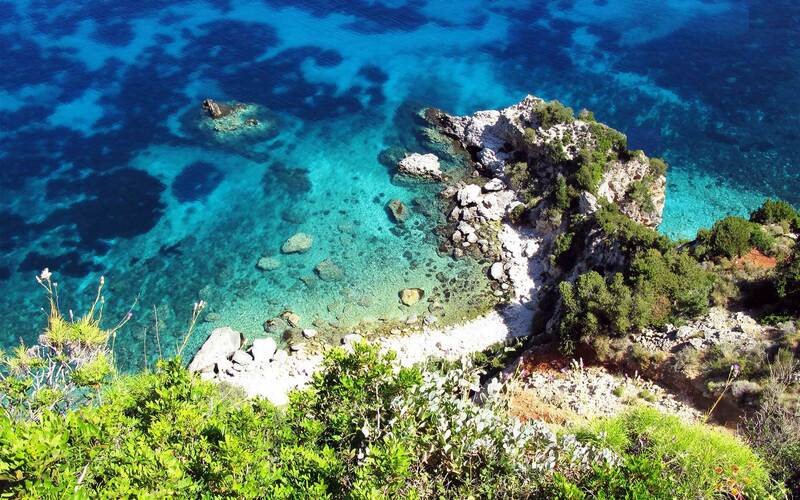 The largest island of the Ionian Sea, Kefalonia is a very charming place. Although it has developed over the last years as a family destination, beach places in Kefalonia island never get crowded due to the large size of the island. Mostly famous for the exotic beaches, including Myrtos, Antisamos, Lourdas and Skala, the island was chosen for filming the Hollywood movie Captain Corelli’s Mandolin. Famous for the exotic beaches and the picturesque seaside villages, Kefalonia is an island ideal for family and romantic holidays. 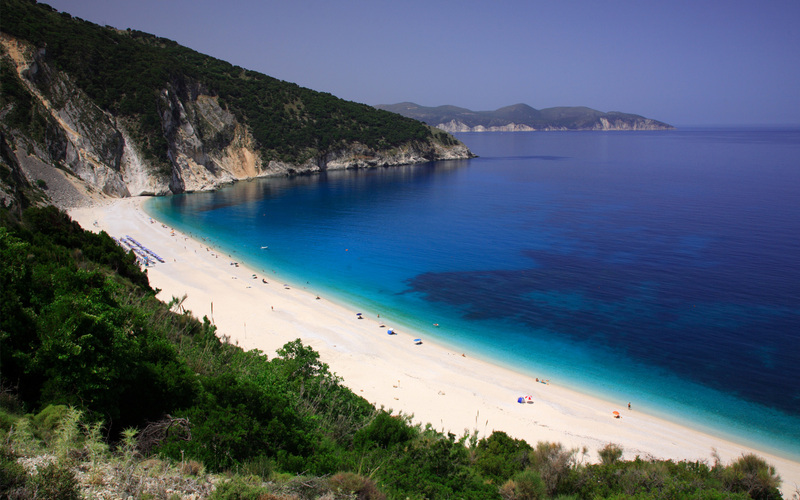 Holidays in Kefalonia will give you wonderful days on the beach and long walks in nature. Apart from swimming, Kefalonia Greece also has many places to see, from picturesque villages to Medieval castles and beautiful monasteries. For sun bathers there are plenty on beaches (many of them among the most beautiful in the Mediterranean. Is one of Greece’s best secrets and once voted 10th in a world scenic beauty league, thus it demands and deserves exploration. Beautiful golden beaches, lofty mountains providing the scenic backdrop to hundreds of secluded white coves , the strange cliffs , the cave of St. Gerassimos – the island’s patron saint, the Cave of Drongorati, the underground lake at Mellisani, churches and Monasteries perched precariously on cliffs, timeless villages. The limestone rock results in remarkable caves and caverns, some of which have become major tourist attractions. Geologists once grappled with the problem of the disappearing sea which flowed into swallow holes near Argostoli. No-one knew where it went until a couple of geologists tracked it with radioactive dye to the underground lake at Mellisani on the other side of the island. The coast is generally steep and sometimes precipitous as are the mountain roads that criss-cross the island. The heavy winter rains make this one of the greenest and lushest of islands despite the rocky landscape and the Kefalonian fir is widespread. The many olive groves and vineyards (Kefalonia boasts some of the best wine in Greece) are testimony to the islanders’ reliance on agriculture before the relatively recent arrival of the tourist. 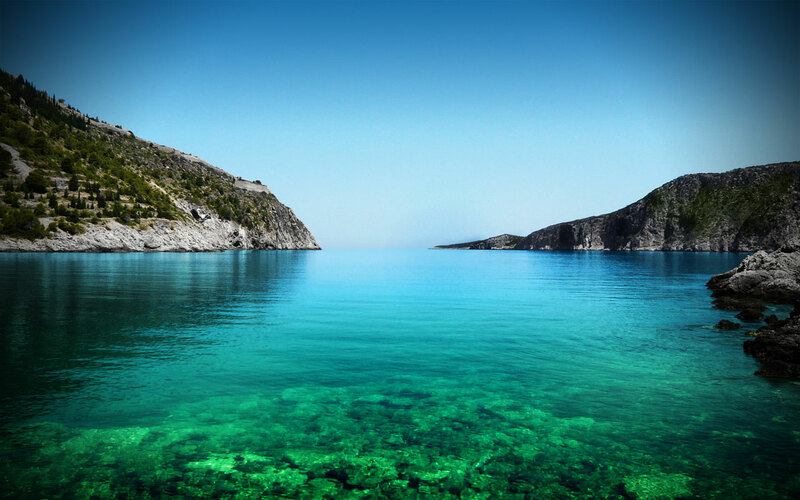 From the traditional Fiskardo to the small tourist town of Poros, and the fascinating villages of Livatho which captivated Lord Byron with their beauty for four months, Kefalonia reveals to the visitor a glimpse of paradise at every turn. The “Great Mountain”, called “Monte Nero” by the Venetians, with its unique fir-tree forest, offers the visitor a place of soul-uplifting serenity. 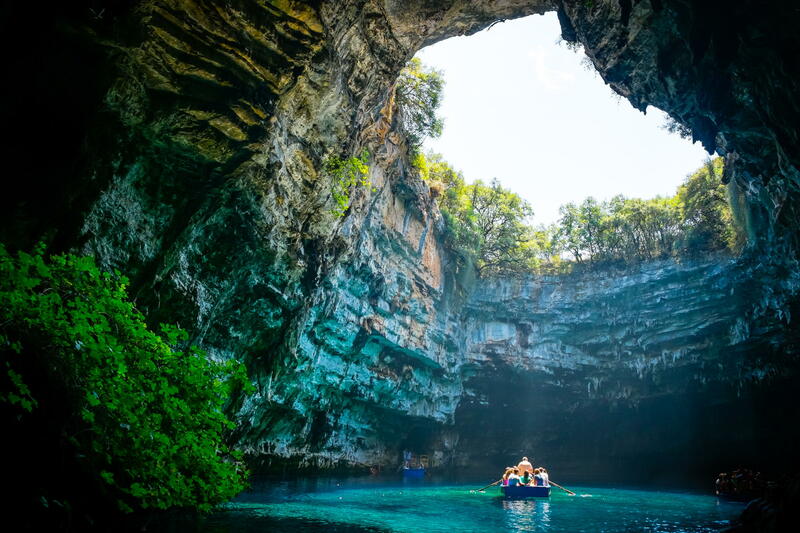 On no other island can one encounter such fantastic natural phenomena as in Kefalonia, from the caves of Drogarati and Melissani to Katavothres (swallow-holes). The imposing rock of Ainos stands over the Ionian Sea, offering a panoramic view over Kefalonia and the surrounding islands! 2.5km from the island’s main port Sami, is Melisani Cave, a subterranean sea-lake. Drogarati Cave has spectacular stalactites. 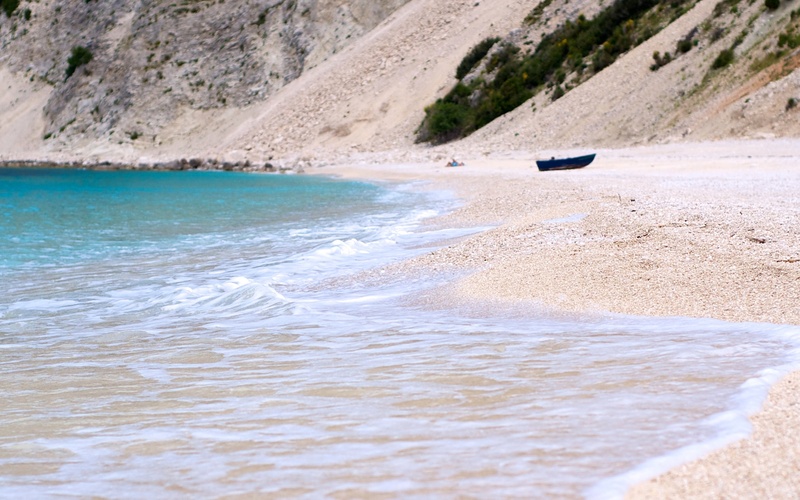 An exceptional white sandy beach is Myrtos. Nearby you will discover by boat, hidden coves wedged between tall limestone cliffs. Kefalonia has hundreds of picturesque villages and small towns, with an architecture and tradition all their own, surrounded by enchanting nature. Beautiful houses, tiny villas, and gardens with countless flowers, creating a palette of colors and a captivating aroma. It is perhaps the most beautiful of all Greek villages. Lastly, at the top of Ainos, live herds of the famous, exquisite wild horses of Kefalonia. This is ab enchanting sight, a pisture of strength and freedom, a picture of a rebellious pride which seems to be the very soul of the island… Villages Travelling south The monastery of Agios Gerasimos. As you sail towards Kefallonia, the largest of the Ionian Islands, you will see Mt Enos (1520m) towering in the distance. Characteristic features of the beautiful landscape are the noble fir forests; the currant vineyards; the olive groves; and wild flowers from which perfumes are made. The local wines are excellent. The capital of the island is lively Argostoli. Its delightfully situated some way up the gulf of Argostoli in a inlet so shallow that a British built causeway was constructed in 1813, to connect it with the rest of Kefalonia.